Ian Washburn’s practice focuses on intellectual property and complex business litigation, including patent post-grant proceedings. 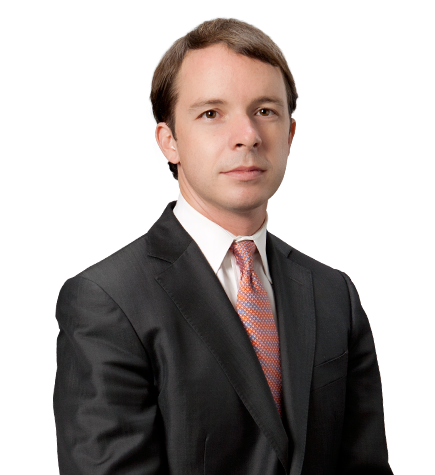 He has represented clients in numerous federal courts as well as before the U.S. Patent and Trademark Office, the ICC International Court of Arbitration and the Delaware Court of Chancery. In addition, he advises companies during patent license negotiations and on technology development and commercialization. Ian’s experience spans a wide range of industries, including the biomedical, pharmaceutical, semiconductor and semiconductor packaging and computer networking sectors as well as higher education. Prior to law school, Ian worked for an investment management firm in New York and lived in Beijing. Shareholder Representative Services v. Gilead Sciences, Inc. (Del. Ch.). Served as counsel to Gilead Sciences in contract litigation related to whether Gilead owed a bonus payment under a merger agreement related to Gilead's cancer-fighting PI3K inhibitor Zydelig. Following a trial, the Delaware Court of Chancery issued a complete defense verdict, rejecting the plaintiff's claim for over $50 million in damages. MyMail, Inc. v. Conduit Ltd., Perion Network Ltd., et al. (E.D. Tex., PTAB). Served as counsel to Conduit Ltd., Perion Network Ltd., et al., in patent litigation and related inter partes review involving patents related to browser toolbar technology. The case settled shortly before oral hearing in the inter partes review. Genentech, Inc. v. The Trustees of the University of Pennsylvania (N.D. Cal.). Served as counsel to the trustees in patent litigation involving patent related to monocolonal antibody therapies. Penn asserted that the primary use of Genentech's blockbuster anticancer drug Herceptin infringes Penn's patent. The case settled shortly before trial. Tessera v. Amkor Technology (I.C.C., N.D. Cal., D. Del., Cal. Sup. Ct.). Served as counsel to Tessera in a series of arbitrations before a three-judge panel from the International Chamber of Commerce, and various satellite cases, involving royalties due under an agreement licensing both patented and unpatented semiconductor packaging technology. Boehringer Ingelheim Pharmaceuticals, Inc. v. Genentech, Inc. (PTAB). Served as counsel to Genentech in inter partes review involving patents related to methods of using rituximab, one of the highest-selling biologic treatments for cancer and rheumatoid arthritis. BI filed a request for adverse judgment for abandonment of the contest in the two proceedings that were instituted, asking the Patent Trial and Appeal Board (PTAB) to enter an adverse judgment against BI. The requests were not filed pursuant to any settlement between the parties and were granted by the PTAB. Tessera v. Powertech Technology Inc. (N.D. Cal.). Served as counsel to Tessera in licensing disputes involving royalties due under an agreement licensing both patented and unpatented semiconductor packaging technology. Tessera v. Sony (N.D. Cal.). Served as counsel to Tessera in licensing dispute involving royalties due under an agreement licensing both patented and unpatented semiconductor packaging technology. University of California, Berkeley School of Law (J.D., 2010); Order of the Coif; Recipient of two American Jurisprudence Awards; Articles editor, Ecology Law Quarterly; Research assistant to Professor Robert. C. Berring Jr.